I absolutely loved it! I’ve been working in the same building as Renee Day Spa for two years and it was a really spur of the moment decision to visit. The atmosphere is absolutely wonderful if you want a nice quiet place to relax. Renata is very kind and friendly and genuinely cares about giving you a pleasant experience. It’s hard to find a place in Chicago that doesn’t treat you like another number. 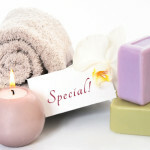 Renee Day Spa is truly a hidden gem among all of the hustle and bustle that the Mag Mile has to offer. I bought my girlfriend for Christmas a coupon to Renee Day Spa. The coupon was good for a facial treatment and a nice relaxing massage. She loved every minute of it and said the service is very good and the workers are always friendly. Even the owner is a very nice lady. My group of girls came here to kick off a Bachelorette celebration in style… we all did various versions of manicures & pedicures, and the staff helping us were so welcoming and accommodating. The mani/pedi was great, one of the best I’ve had in a long time. My hands & feet have never been so smooth! The prices weren’t as high as I was expecting, it’s definitely a little more than I normally pay for mani/pedi’s, but worth it for a treat. I try to get a massage once every other month or so, but I usually go to my go-to bare bones place near where I live. But since I was in town on Miracle Mile and crunched for time I guess I had to splurge. And man was it worth it! I called at 10:55 to see if they had any openings and they said to walk right over for an 11:15 appt. Anna welcomed me and seated me right away. Then she led me to the private message room. The table was heated and had a nice cozy blanket. Anna was AMAZING. Even though I didn’t mention my shoulders as a point of concentration, as soon as she found those knots she kneaded away with a vengeance! I enjoy extra firm pressure and she was just perfect! When I turned over she placed a “sandbag” herbal eyecover on my face and it felt and smelled so luxurious. I told her I would love to return the next day but it was her day off. I highly recommend this place!